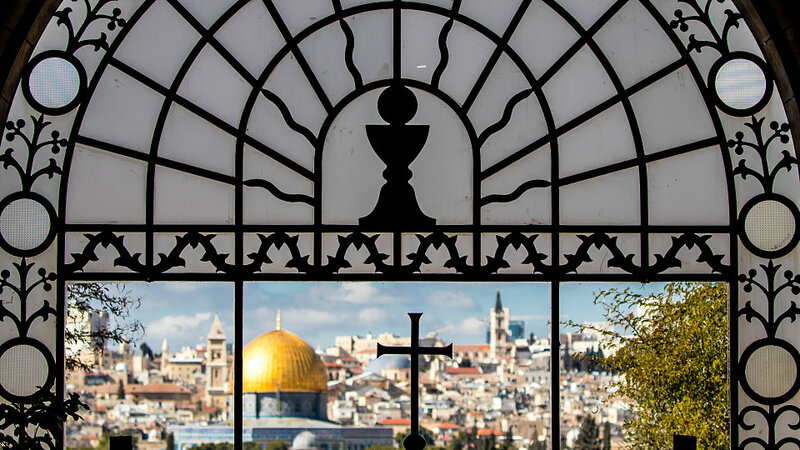 You will deepen your understanding of the Bible and Jesus’ life and ministry on this 11-day journey through the Holy Land. Pilgrims will spend 3-nights in Bethlehem and visit Jacob’s Well, Samaria, Nablus, Mt Gerizim, Qumran and other sites not available on other EO itineraries.This journey also includes many sites in the Galilee and Jerusalem. Extensions are available so you can explore more in and around the Holy Land. Prices starting at $2998* based out of New York. Visit the baptismal site of Qasr el Yehud, where tradition says Jesus was baptized by John the Baptist. Travel to Jericho (the oldest city in the world) and visit the ruins of the ancient city conquered by Joshua (Josh. 6:1, 2 & 20). In the distance, you can see the traditional site of the Temptation of Jesus (Matt.4:1-11). Continue to Qumran, site of the Dead Sea Scroll discovery. End your day with the opportunity to take a dip in the mineral laden waters of the Dead Sea. Explore one of the most exciting archeological digs in Israel the Herodion, the palace-fortress and final resting place of Herod the Great. In Bethlehem, visit the cave where Jesus was born (Luke 2:1-7) and the Church of the Nativity. Gaze out over the Shepherds’ Field, where angels first proclaimed the Good News. Enjoy a scenic drive to Capernaum, center of Jesus’ ministry in the Galilee (Matt.4:13, 23). On the Mount of Beatitudes, contemplate the text of the Sermon on the Mount that Jesus preached there (Matt. 5-7). Experience a special onboard worship service as you sail across the Sea of Galilee. Visit the Church of the Fish and the Loaves in Tabgha, the traditional location of the feeding of the 5,000 (Luke 9:10-17). As you pray in the Chapel of the Primacy, remember how Peter professed his devotion to the risen Christ three times (John 21). In Magdala, once home to Mary Magdalene, visit a recently discovered first-century synagogue. Begin your day with a visit to Cana, the site of Christ’s first miracle (John 2) before stopping in Nazareth, Jesus’ boyhood home (Matthew 2:23). Continue past Tel Dothan, thought to be the place where Joseph found his brothers with their flocks (Genesis 37). Visit Samaria, the capital of the Northern Kingdom and home to Ahab and Jezebel. See Mount Ebal and Mount Gerizim where the Israelites recited the blessings and curses of the Law. In modern day Nablus (ancient Shechem), see where the Samaritan woman encountered Christ (John 4) at Jacob’s Well. Stand on the Mount of Olives and enjoy a remarkable view of the Golden City of Jerusalem. Forty days after His resurrection, Jesus ascended into heaven from this place (Acts 1:9-12). Walk to the Garden of Gethsemane and pray beneath the ancient olive trees (Matt.26:36-44). On Mount Zion, visit the Upper Room, revered as the site of the Last Supper (Mark 14:12) and St. Peter in Gallicantu, the home of the High Priest Caiaphas, where Jesus was held after His arrest (Matt. 26:57). This morning, enjoy a walking tour of the Old City of Jerusalem along the Cardo, once the main street of the city. 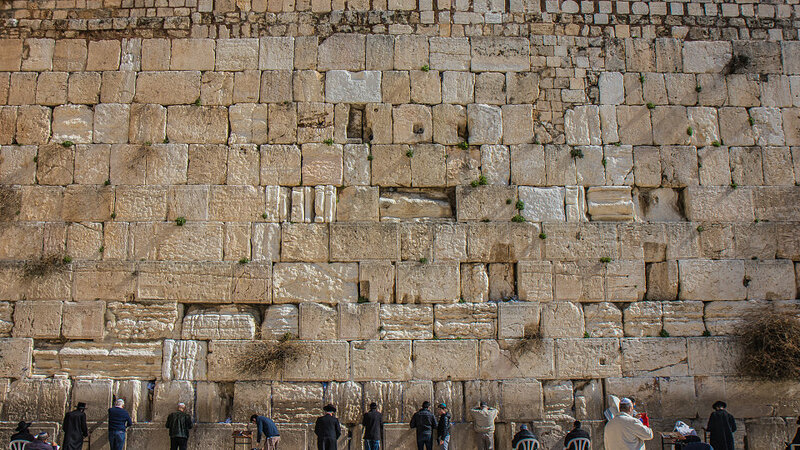 Explore the Davidson Center and the Southern Wall Excavations, including the Teaching Steps and the Western Wall. Remember how Jesus healed on the Sabbath when you visit the Pool of Bethesda (John 5: 1-18). At Herod’s Antonia Fortress (Luke 23:1), see where Jesus was brought before Pontius Pilate. Walk the Via Dolorosa (“the Way of the Cross”) and remember the Lord’s sacrificial love at the Church of the Holy Sepulchre. Share communion together at the Garden Tomb in celebration of His Resurrection. Travel to Ein Karem, birthplace of John the Baptist and where Mary visited Elizabeth (Luke 1:26-40). Visit Nebi Samuel, thought to be the burial place of the prophet Samuel. In Emmaus, recall how the resurrected Jesus appeared to two of His disciples (Luke 24:13-35). Journey through the Valley of Elah, where David defeated Goliath (I Samuel 17). Day 11 Return to the USA or Enjoy an Extension. Return to the USA on your international flight or enjoy an extension. 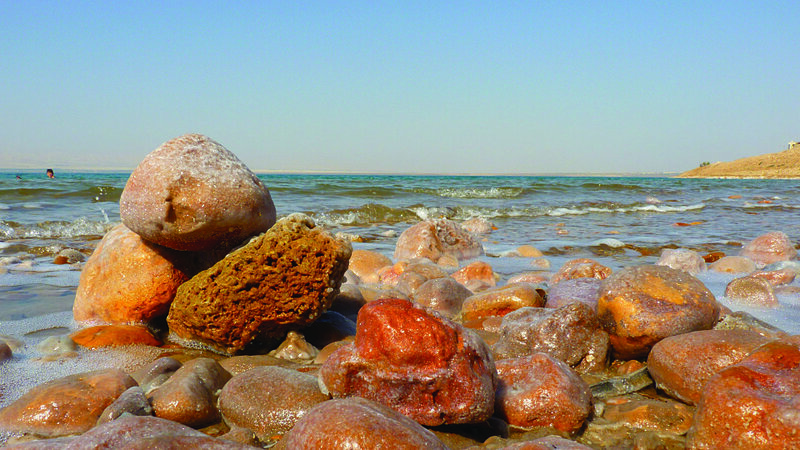 Day 13 - Stop at Wadi Feran, Elim and Marah by the Red Sea on your way to Cairo. Dinner and overnight in Cairo. Day 14 - Visit Memphis & Saqqara. View the Step Pyramid, the Great Pyramids at Giza and the majestic Sphinx today. Dinner and overnight in Cairo. Day 15 - See King Tut's Treasures and explore the Egyptian Museum. View the Citadel of Old Cairo and stop at the Coptic Church. This evening you will sail the Nile on an authentic Egyptian Felucca. Dinner and overnight in Cairo.